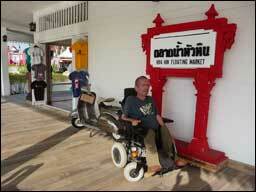 Hua Hin Floating Market is one out of two floating markets within the Hua Hin area. 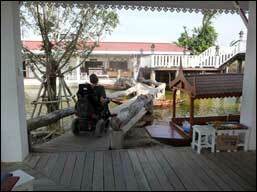 This floating market is nice for fun shopping in a relaxing atmosphere or to take a boat ride. Rent a water bike to watch what is going on from the water. 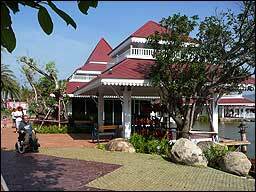 Have a drink and a meal in the restaurant. Or buy a Thai snack from the boats on the water. At the back of the restaurants is a wheelchair accessible restroom. Starting time and pick up time in consultation.